Jorge Palacios, Balance and Inertia, 2011. Teak, corten steel. Nine sculptures by Jorge Palacios (b. 1979, Spain) explore the laws of physics and motion on microscopic and macroscopic levels. 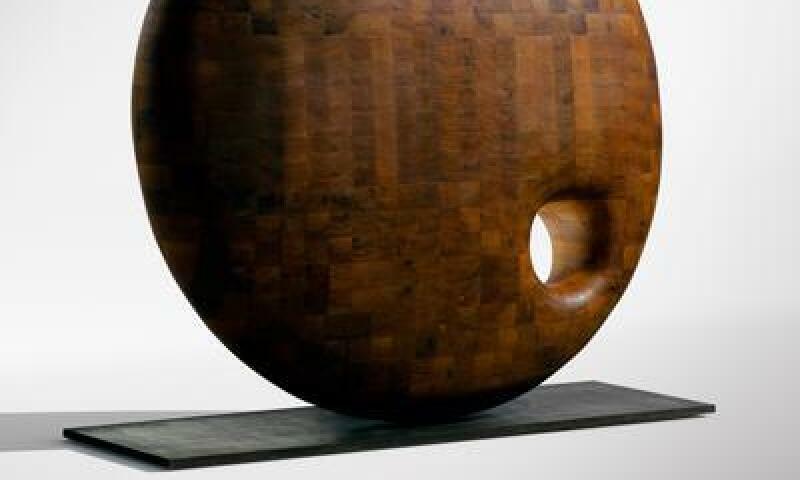 Integrated into the Museum’s permanent installation, Palacios’s works bring renewed attention to Noguchi’s frequent experiments with the physical sciences, as well as with turning art-viewing into a physical experience.